Members have access 24/7 access any of the standards and our online Standards Library with enhanced search functionality. You also can call our ABYC Technical Department with your questions and get free advice. Most ABYC Certification courses up to 30% for members vs. non-members. If you are a Master Marine Technician these savings add up fast! As a Marine Industry Professional you face a number of unique exposures which often times require comprehensive insurance policies. The ABYC Insurance Programs offer exclusive access to industry specific coverage enhancements and premium discounts. The Reference Point is a standards-based marine industry journal, published twice a year as a service for the ABYC members. As the journal for ABYC, the Reference Point is designed to provide members with current standards-based information, articles, discussions, opinions, and commentary surrounding the development of both national and international standards for the design, construction, equipage and maintenance of boats. 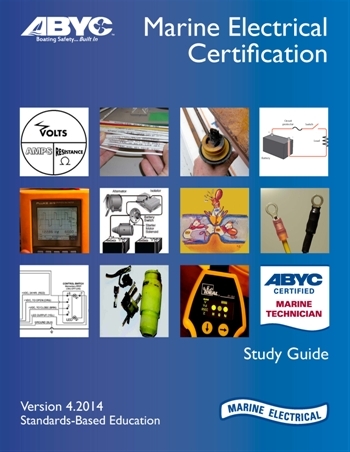 Publication include the annually updated Standards and Technical Information Reports Small Craft, ABYC Certification Study Guides, and various educational resources for boat building and repair. This fantastic online resource will prove a comprehensive matching system for employers and job seekers in the boating industry. Access educational opportunities to learn more in subjects line marine electrical, marine corrosion, marine systems, diesel engine and support systems, gasoline engine and support systems, composite boat building, and refrigeration and A/C.